On May 20th, the SUN ingress in GEMINI: Happy Birthday for all natives! Uranus enters in Taurus just after a New Moon in Taurus, and just before Mars will enter Aquarius and square Uranus. The emphasis in this chart is on the element of earth. Usually when Uranus enters a sign, there is a signature event, announcing its arrival. Look for such an event around middle of May, just before or a few days after the actual ingress. NEW MOON in TAURUS on 15th May 2018 at 07:47: Just hours after the Sun and Moon conjoin, Uranus, planet of radical change, enters Taurus for the first time since 1942. The first of the earth signs, Taurus represents our basic survival needs — food, shelter, clothing, and money. Ruled by Venus, Taurus also favors beauty, pleasure, and sensuality. The ingress of an outer planet into a new sign often coincides with major world events. Do you remember what have been happened in the very day that Uranus entered Aries (March 11, 2011), an earthquake and tsunami struck Japan, triggering the Fukushima nuclear disaster. With Uranus entering Taurus, in addition to possible Earth changes, you may see big events in the financial world. Disruptors of the financial status quo are already at play and likely to gain traction: cryptocurrencies, micro-banking, crowdfunding. We may see grassroots movements to free humanity from the control of the banking system, and free the Earth from an economy based on extracting and exploiting resources. FULL MOON in SAGITTARIUS on 29th May at 10:19: This Full Moon is a call to adventure and initiation. Physical activities can be helpful now, if you’re feeling stuck, go for a walk or a run, dance or stretch. The Full Moon fire is further intensified by its conjunction with Antares (at 9° Sagittarius), the red star at the heart of the Scorpion constellation. Associated with Mars and Jupiter, this potent star symbolizes fearlessness, readiness for action, and success in war. Jupiter, ruler of Sagittarius, is retrograde in Scorpio, suggesting that the fierce fire activated by this Full Moon is best channeled into confronting your own inner demons. 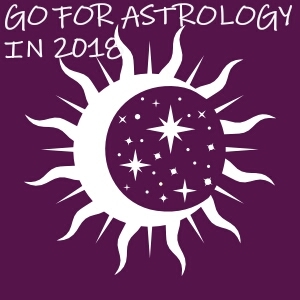 MERCURY is in ARIES until 13 May, then between 13 – 30 May MERCURY is in TAURUS: You give more importance on traditional knowledge. You learn in a slow and methodical manner. You stick to old ideas and may fear having to learn anything new or even to make changes in your life. VENUS is in GEMINI until 19th May: You are curious and flirtatious and enjoy intellectual relationships with exchanges of ideas. Communicating within a relationship is important to you. You can be restless, and sometimes gets bored. You may have many money-making schemes. VENUS is in CANCER between 19th May and 14th June: You are targeted on family relations. You can form strong emotional bonds within your own tribe. But most of the time you may have an emotional need for financial security. Mars forms a complicated and dynamic square aspect with Uranus on May 16, repeated on August 1 and September 18. It is up to you to find new ways of expressing the Martian energy or to make unexpected changes that you have no control at all. During this retrograde cycle of Mars, it is preferable to avoid extreme sports and events involving imprudent and risk-of-accident actions. Try not to respond to challenges of any kind during this period. Do not rush things, if you see obstacles in your actions, try to find constructive solutions to move forward. The more you resist the changes, the more you will have conflicts with others. Take more care of yourself and avoid surgery especially in the following areas: hips, thighs, femurs, blood vessels (arteries), sciatic nerve, pelvis, pituitary and liver, genital and excretory system, nose, ovary, bladder and the prostate. Also, male activities may encounter problems during the relegation period of Mars: everything related to cars, army, police and so on. The affected zodiac signs are: Aries and Scorpio and in the signs where the planet is retrograde (Aquarius and Capricorn). ASCENDANT OR SUN IN ARIES: You are in a very good mood when is about your personal relationships and your charm is going direct to the people’ hearts. Sometimes you may dream too much about an ideal relationship. Remember that nobody is perfect on this Earth! Try to relax about this need of perfection. On the second part of the month you may start an activity connected with your home environment. In your profession if you do not keep your temper in a normal range you will get too much resistance form others. Why do you want to oppose to events that you cannot change anyway? You lose time, energy and health and even money for something that is not relevant for your life. Be wise! Negotiations are not easy this month, prepare yourself in a professional way! Be aware how you spend your money, you may have unexpected expenses because you may let yourself influenced by other people. You will have a lot of energy this month and the idea is to do something with it, the best solution is to practice a sport, to travel, to make love, to dance. ASCENDANT OR SUN IN TAURUS: Argues in your family environment may occur but is not so dramatic. Talk and make decision together, if you are in a couple. If you are single, on the second part of the month you will have more opportunities to find a lover. If you have money to invest but it is not clear for you where you should invest it is not time to make grand plans and you should be cautious instead, because you may lose your money if you do not pay enough attention. After Uranus ingress in Taurus you will feel the need to make a revolution in your life, surprising everyone. On the last decan of the month is a very good period for meetings and mediations and for making yourself heard. If you know yourself with chronical disease, be aware that it may occur some acute health problems during the middle of the month. It is not something dramatic but take more care about you and go to the doctor if you feel the need. ASCENDANT OR SUN IN GEMINI: You are very straightforward in your love relationship, you are in a big mood of playing with the hearts of other people. Be aware to not manipulate in your own interest’s other people, only for the need of pleasure. Your games will come back to you as a boomerang. On the other hands, Jupiter helps you to get support and understanding of your loved one. In your professional environment the best policy is to have a low profile for a while and to be very clear and fair in your communication. On the second part of the month you may travel due to job interests. Money are coming and going, be aware of your financial behaviour! Try to relax more this month, go for a SPA treatment, practice meditation or have more rest. ASCENDANT OR SUN IN CANCER: Until 10th of July try to remain patient, persevere, and don’t get stuck on the past! Instead you better look at things long term and set joint goals with your partner. If you are single you may become passionate for a lover hunting. In your profession opportunities are coming with new contracts and clients. Starting with second part of this month you may receive more money but do not forget about your financial behaviour. It is better to postpone significant investments particularly after 21st May. Use your free time to become more relaxed. ASCENDANT OR SUN IN LEO: This month you will be very busy, you work like crazy. Because of this you have no time for your family and loved once. Also, some of you may have sudden separations, from a work environment or from a lover. In your love relationship or/and in your business relations you may create conflicts very easy. No matter if you want or not you will become very visible, stand out, reap the benefits of what you sowed before. No matter if you get promoted or you receive an award. You are ambition, and you can consolidate your professional reputation and open new paths towards future success. You are favoured in financial gains, in group activities, online projects, collaborations with big important organizations. Because you are to busy you become more tired and stressed, so try to sleep, rest, relax. In the last ten days of the month money comes more from group projects or from friends. It’s in your best interest to work for or cooperate with organizations, corporations, big firms. Do not rush and try to not become too stressed, otherwise a work accident may occur. ASCENDANT OR SUN IN LIBRA: You are in a wilder state, it may occur unexpected changes at home and in your love life. If you have more love relationships, you will be fucked-up. Poor you! 😊. Starting with middle of May everything connected with love, intimacy, joint resources and managing, secrets and love affairs. And this will end after 7 years. I hope on your Facebook will not be written <In a complicated relationship>. If you’re single, you can now easily find a partner, but you should be careful because you might attract someone who’s already committed. So, again you will be fucked-up. Or maybe you like this situation. Business partnerships or different associations can become unstable or need readjusting of terms, checking things related to money, and negotiations. In your career and reputation Venus transit is helping you: promotion, appreciation and rewards. ASCENDANT OR SUN IN SCORPIO: On May you are open to for dialogue, to confess, and to make clarifications in your personal relationship. Uranus’ entry in your 7th house on 15 May. This is a long transit that lasts until 2026 and marks a term of redefining and revolutions in partnerships, of surprises and plot twists, of sudden breakups or marriages. Also, you should be more careful when it comes to new relationships. If you want to gain more money you should involve in partnerships, associations, and joint investments. With Saturn retrograde in your 3rd house you have a tough time finding your words, ideas, arguments. Too much agitation can cause digestive issues and you become much tired. Also, be aware of accidents within your home environment. Avoid manipulating and to be possessiveness because you may lose on emotional and professional sides. ASCENDANT OR SUN IN SAGITTARIUS: Love is in the air. If you are single you are favoured in a long-distance relationship. Instead, you are tested in your money administration skills. You have great professional and material ambitions and it is time to use your creativity, talents, to learn new skills. If you don’t like what you’re doing or want to change your area of work, now is pretty much the right time to do it. Anyway, you have 7 years to change you are of work. Older health issues might occur again, so take more care of your health! ASCENDANT OR SUN IN CAPRICORN: Because you need to feel safe, you establish rules and boundaries for others. With Uranus in Taurus for seven years brings unexpected events in your love life. Give your better half the chance to help you out of your bad moods; don’t shut yourself off in front of evidence of their love! If you feel alone, it’s only because you tend to push everyone away. During the last decan of the month communication at work improves a lot but ties with associates in business can become tenser. Due to tensions and stress you may have health issues: bone area, skin and hair. ASCENDANT OR SUN IN AQUARIUS: In your relationships you may open older discussions about money, secrets and this may shake your trust. It would be best to find things to do with your better half – things that you’d both enjoy. You might tend to ignore real money-related issues and focus and to think about unrealistic projects. There is a risk of infection or a symptom of some chronic afflictions. Try to avoid any excesses. Toward end of month you should avoid excesses of any kind. ASCENDANT OR SUN IN PISCES: To keep harmony in your love life, you need a lot of patience and open mind when it comes to what your spouse/partner wants. If you are single you have a big chance to have a new lover. Unexpected opportunities might come your way due to associations, collaborations, new contracts. You will fight for other people causes. You are unpredictable but will probably be a group leader. You may become rebellious when angry. Relax more, do not let other to tense.